I’m about to head out to Long Beach’s Retro Row for a day of vintage shopping, but I can’t stop thinking about this dress i found the other day on Etsy. 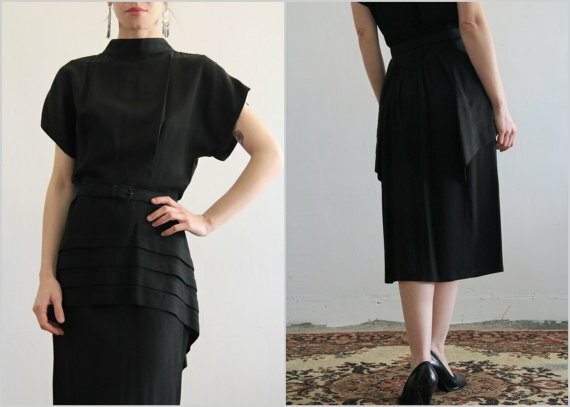 Vintage 1980’s LBD with a perfect peplum. Peplums are so hot right now, making this dress the perfect blend of current and classic. At $55, it’s a little pricey, but can you really put a price on the perfect LBD? I think I’ll sleep on it one more night, but in my mind, this dress is already mine. What do you think?